Christopher Matthew Clements, 36, has been arrested and charged with 21 criminal counts, including murder and kidnapping charges in the deaths of Isabel Celis and Maribel Gonzalez, Tucson Police Chief Chris Magnus said. Magnus also stated that finding her remains were “not by happenstance.” Has someone finally come forward to say what happened? Was some clue found that led to her remains being found? But, at the end of the conference he also stated he believes somebody might know something and encourages them to come forward. I have several articles on Isabel, so please go to the search box on this page up located at the top on the left side and type in Celis to see all the stories.UPDATE: 1/16/14 – After the case of missing Isabel Celis went quiet over a year ago, at least in the media sense, anyway, the police have gone back to the neighborhood to knock on neighbors doors and ask questions. Police spokesman Sgt. Pete Dugan stated that the door-to-door effort was not the result of any recent tips in the case. The plan is to talk to everyone and to be in the neighborhood till Saturday. They have even gone as far as to set up a command center. Although, Dugan states they are not there because of a tip, and are there to try and generate new leads, I do think there is more to it than that and they are there because some new information has been discovered and they are acting on it and seeing if they can confirm it. Sergio, Isabel’s father was asked to leave the home shortly after Isabel went missing by the child protection services in Arizona and was not allowed contacted with his son’s. A few months later he was back living at the house again. I have not found any information as to why he was asked to leave nor why he was allowed to return, but it has to be assumed that whatever the reason, it was discovered to be unfounded by CPS, and he was allowed back in the home. Sergio Celis, the father of missing Isabel Celis, 6, is not allowed to have contact with his sons. For the time being, Child Protective Services has asked Sergio to keep his distance from his two sons. Criminologist Casey Jordan said, “I don’t think it is the police circling back to the family as much as they never left the family,” she told MSNBC news. Until we find conclusive evidence we are not going to close the door on anything,” said Police Chief. Lt. Fabian Pacheco, Tucson Police Dept. 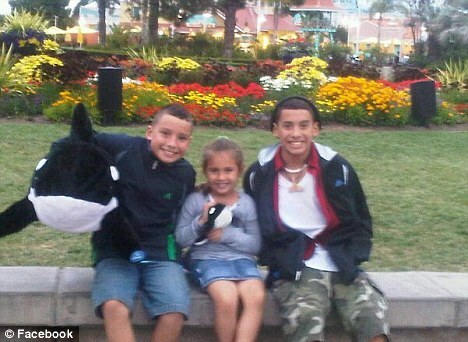 According to KPHO news, Isabel’s two brother Julian, 10, and Sergio, 14, are now with their biological mother. ABC News was told by a source that the change in custody did not mean that police were focusing on Sergio. UPDATE: May 12, 2012 – Police have said that Child Protective Services (CPS) has stepped in and placed Isabel Celis’ older brothers in the care of one parent on Friday. “We just wanted CPS to come in and perform an assessment based on information from detectives,” Tuscon Police Lt. Fabian Pacheco told the Arizona Daily Star. Isabel Celis was reported missing from her Tucson, Arizona home on April 21, 2012 and has not been seen since. In a move that the police have said is to ensure the welfare of the boys, the Tucson police called in CPS. Authorities declined to say which parent, Sergio or Becky, that has custody of the children, reports ABC News. “They determined there was a need to institute some measures to ensure the welfare of the older siblings,” Tucson Police Lt. Fabian Pacheco said. Tucson police have confirmed to HLN that the parents of Isabel Celis took polygraph tests on Thursday. The police will not comment on the results. Police are also investigating if there is a similarity between an incident that happened to three little girls in their grandparents’ home on Monday. A man entered the home undetected and went into the room where three girls, ages 6, 8, and 10 were sleeping. He assaulted one child, left, and then came back and began talking with the girls. When one “challenged his story, he left,” Pima County Sheriff’s Dept. Capt. Chris Nanos told HLN. Map of Isabel’s home to her school. UPDATE: One or both of the FBI dogs have alerted in the home. One dog is a cadaver dog and the other a SAR dog. Police are not disclosing which one or if it was both. Isabel Mercedes Celis is missing from her home in Arizona and police have stated her disappearance is a possible abduction on Sunday. Law enforcement have blocked off the neighborhood around her home on 5602 E 12th in Tuscon where Isabel was last seen in her bedroom on Friday evening. Her parents, Sergio and Becky discovered her missing around 8:00 a.m. the following morning. Isabel’s father said the window was open, but there was not broken glass. During a news conference, Tucson police chief Roberto Villasenor said that they have served two search warrants, but had no new clues as to Isabel’s disappearance, reports ABC News. Investigators first believed that Isabel, who goes by the nickname Isa, may have wandered off, but as time passed they no longer believe that theory. During the search on Saturday, nearly 100 officers, including FBI and Marshals have taken part in the search for Isabel, by foot and air. As the search continued Sunday, the neighborhood was still cordoned off a police kept anyone but residents from entering. Volunteers manned a post on Sunday near the family home while family and friends fanned the neighborhood posting up fliers. Isabel is 4 feet tall, with brown hair and hazel eyes.